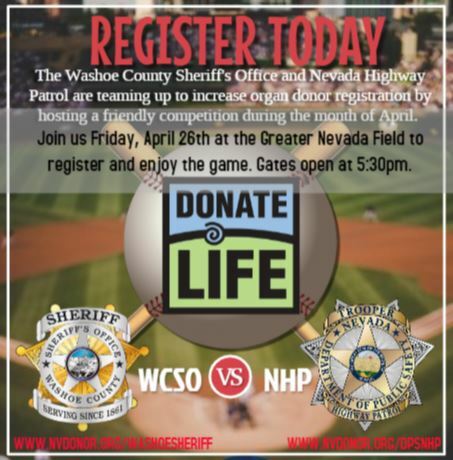 The Washoe County Sheriff’s Office and Nevada Highway Patrol are teaming up to increase organ donor registration by hosting a friendly competition during the month of April. You can also join us Friday, April 26th at the Greater Nevada Field to register and enjoy the game. The first pitch is at 6:30 p.m., gates open at 5:30. National Donate Life Month focuses attention on the importance of registering to be a donor, while also honoring those who have saved and healed lives through donation. 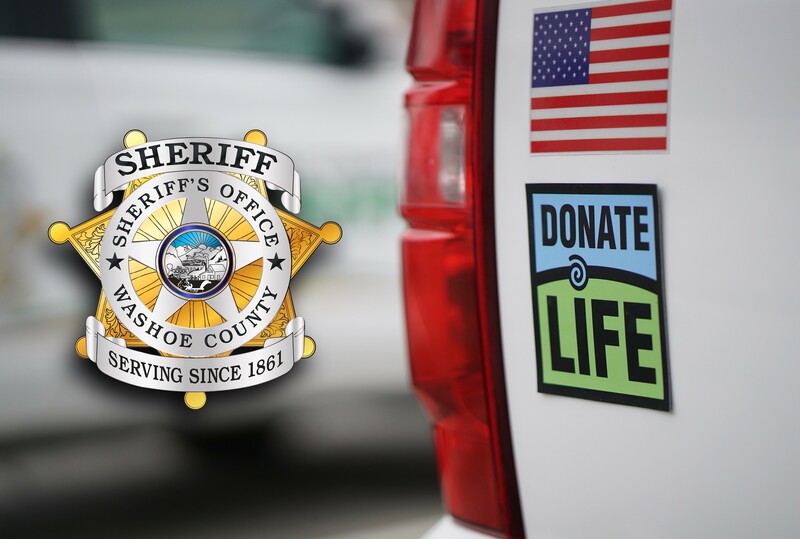 In addition to the registration competitions, Sheriff’s deputies plan to display the Donate Life logo on patrol vehicles throughout April and the Sheriff’s Office staff are encouraged to wear Donate Life lapel pins to show their support for organ, eye and tissue donation. “Organ donors can help save thousands of lives,” Washoe County Sheriff Darin Balaam said. “One of the most effective ways to help save others through organ donation is to get registered. This is why our staff, along with the men and women of NHP, feel it’s important to do what we can to increase awareness for this cause.